Reprints are the hard copy of your published articles. 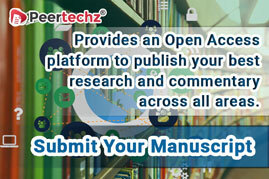 Peertechz Publications Private Limited provides you the facility to order reprints for the manuscripts published in all its Open Access journals. The main objective of reprinting is to encourage the authors’ research works to be effectively disseminated to the vast community of intellectuals. You can order reprints for the already published articles or for the articles under galley proof stage. Before taking the prints, an electronic proof of the article is sent as an e-mail attachment to the corresponding author for approval. After approval, the proofs are considered for the printing process. Substantial outreach: The manuscripts reprints serve as a magnificent medium for you to circulate your review and research works and emphasize your message to the intellectuals. The high-quality, bound and colorful reprints of the manuscripts are a proven source to disseminate your knowledge directly to the audience. Broader Visibility: The extended use of your article reprint keeps your research works in front of researchers and readers, increasing mindshare and your publication’s stature as a reliable reference. Greater Satisfaction: Peertechz Publications Private Limited reprints helps to extend the value of your manuscript by extending its coverage. The expertise that you cover in your manuscript can help you to meet your citation goals only through planned circulation of reprints. Valuable Feedback: Peertechz Publications Private Limited helps to generate detailed status reports on the impact of your manuscript and elicit constructive feedback from readers as well as peers. The reprints are provided in high quality glossy paper of 21.0 x 29.7cm (A4) with 4-color advanced printing technique. Peertechz Publications Private Limited has introduced reprinting charges on cost-to-cost basis to provide support to the authors in maximizing the circulation of the research works. Please discuss with us, if you want reprints but hesitate to apply due to economic constraints. The shipping costs depend on the distance and the weightage of the consignment. The delivery time for reprints varies from 1 to 4 weeks depending on the vicinity of the author from the editorial office. To order for reprints, please submit necessary details by clicking here. Reproductions of original journal articles must be ordered in quantities of at least 100.The approximate time of shipping the reprints in any part of the world is 1-4 weeks.